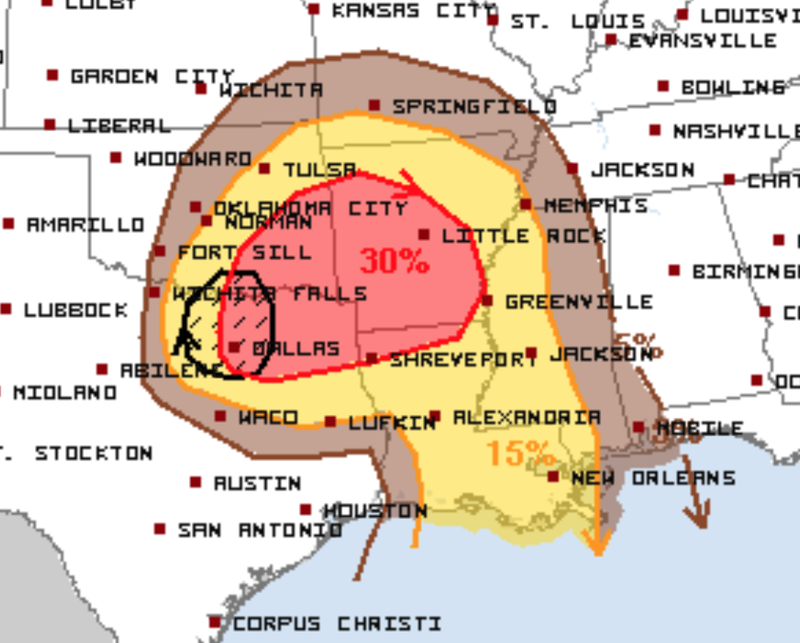 Heads up for an out-of-season risk of tornadoes and severe thunderstorms tomorrow and tomorrow night. 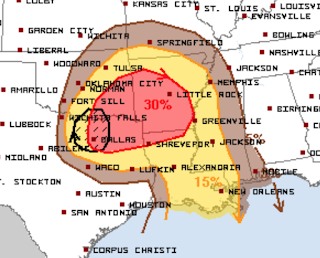 On this chart, 15% (yellow) is the significant threshold for tornado and severe thunderstorms (large hail and/or damaging winds. Red is 30%, which is an enhance risk. The hatching indicates the potential for giant hail from the DFW Metroplex north to Ardmore, Oklahoma.